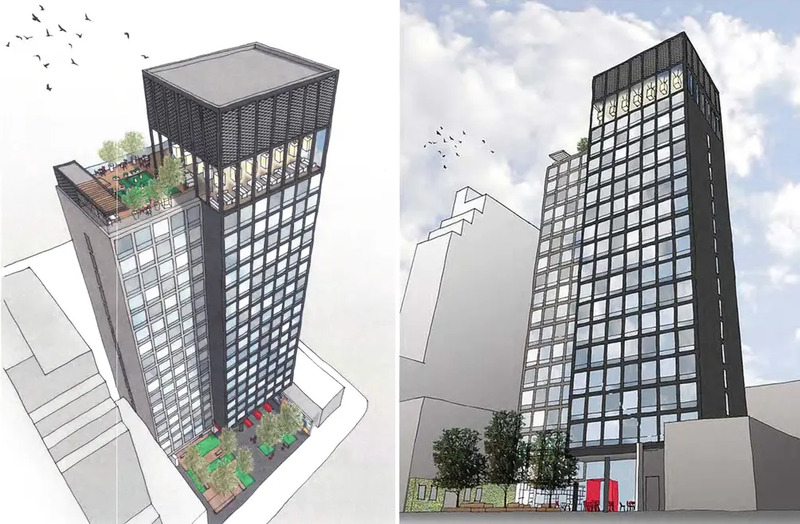 The CitizenM Bowery hotel, rising at 185 Bowery, in the Lower East Side will be the largest, permanent modular hotel ever built. 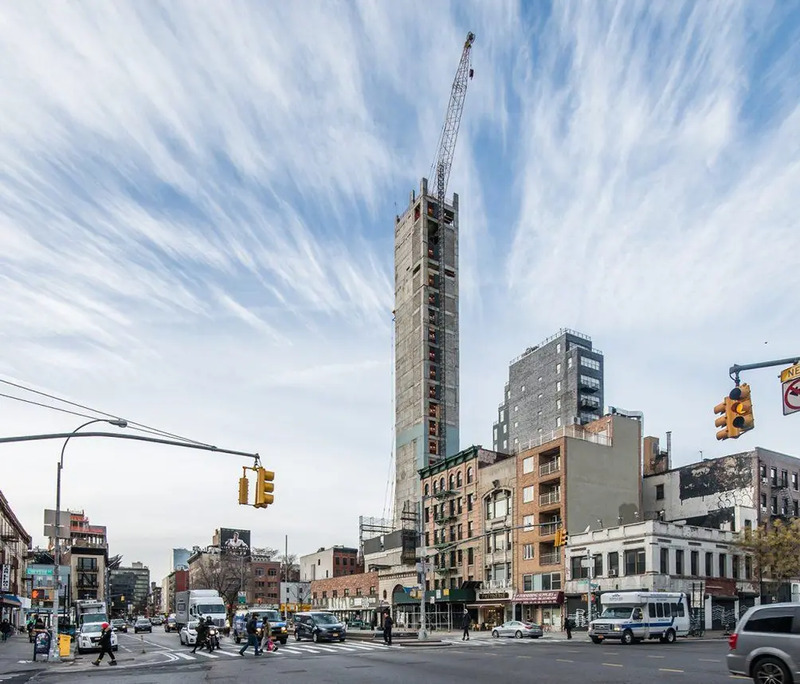 The Wall Street Journal reports that its modular pieces, constructed in Poland, are making their way to the northeast corner of Bowery and Delancey Street. 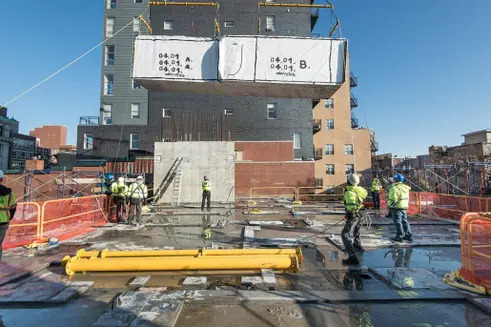 Adding to the 3-story podium and the curious-looking 19-story concrete shaft, which will be the building’s elevator core, the 210 modules will require hoisting in order to be lowered onto the site. The 100,000-square-foot project is being co-designed by Amsterdam-based 'concrete' and local architects, Stephen B. Jacobs Group (SBJ Group). 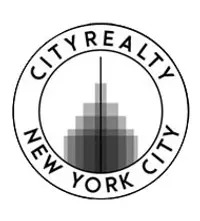 Dutch hotel developer and operator, citizenM, will team-up with Brack Capital Real Estate on developing the $110 million venture. CitizenM already has nine international hotels up and running and 14 currently in the works. 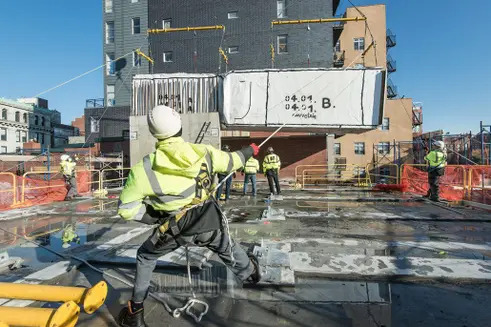 They’ve used the modular construction technique of stacking sealed, factory-made units, with finished hotel rooms, on most their projects. 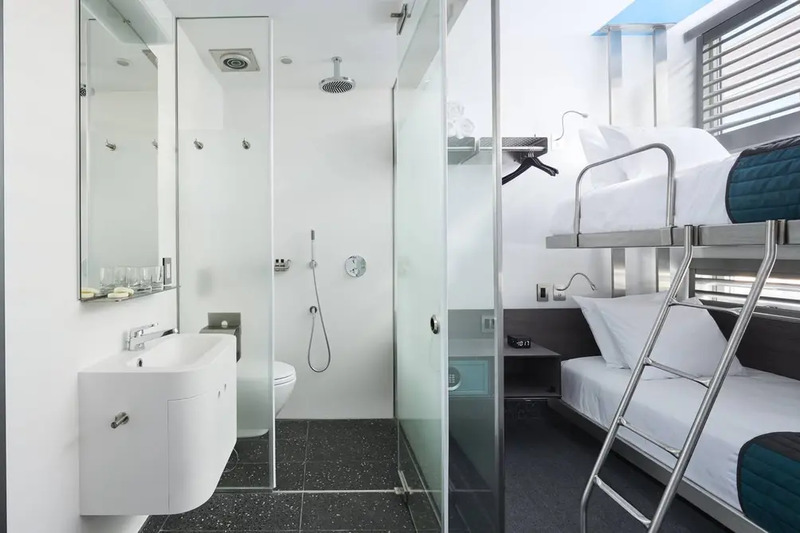 Long popular in Europe, the method yields shorter construction schedules and, in citizenM Bowery’s case, skim 15% of the site's construction. The building is slated to open by early next year and hold a total of 300 rooms. There will also be a fitness center, a double-height lobby, lounge and café, as well as a rooftop bar with an outdoor terrace.